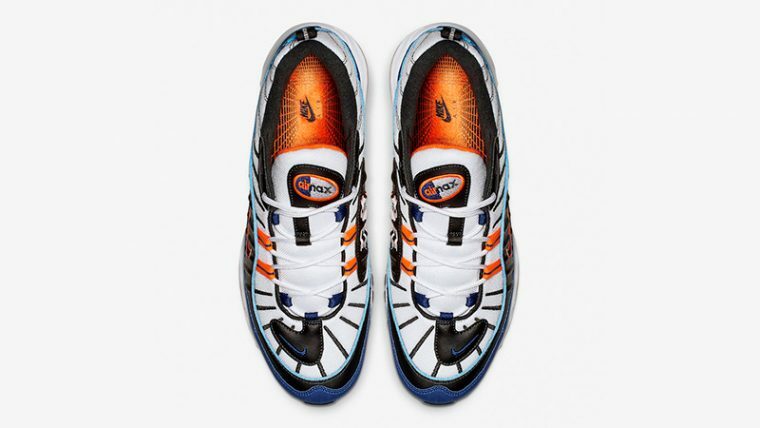 Bold hues bring a striking look to the Nike Air Max 98 White Blue. Packed with attitude, this colourful design will introduce retro vibes to your winter rotation. 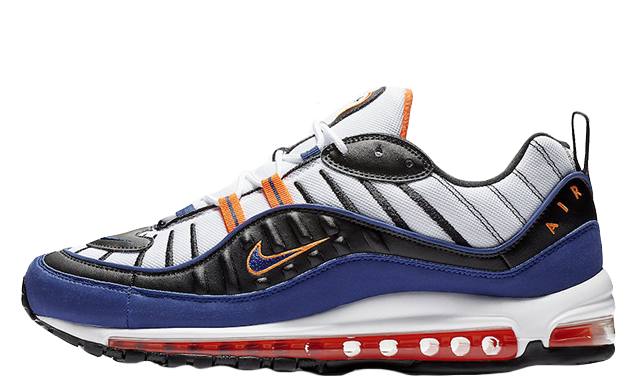 The Air Max 98 made a welcome comeback last year when Nike unveiled a variety of brand new colourways for both girls and guys. Perfect for those who are filled with ’90s nostalgia, this OG chunky shoe features a layered leather and mesh upper, with black, purple, white, and orange detailing creating a unique look throughout. Complete with the ribbed design that you know and love, these 98s are perfect for pairing with your favourite pair of jeans and a cosy jumper for a casual feel. 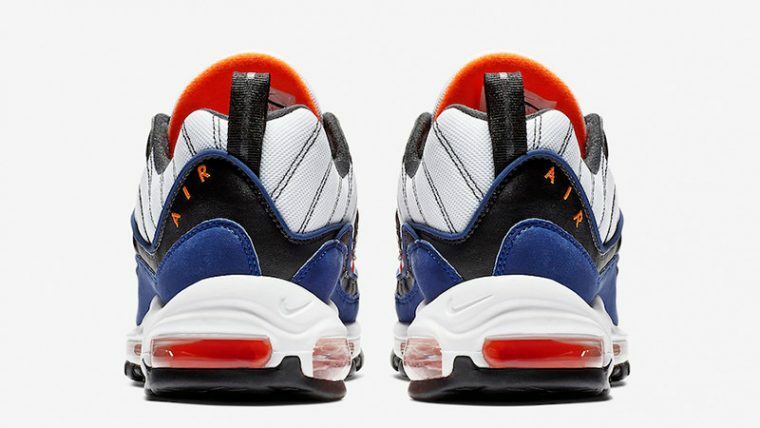 In terms of comfort, Nike’s Air infused midsole sits under foot for additional support, while the shoe’s plush inner will keep your feet warm and protected. 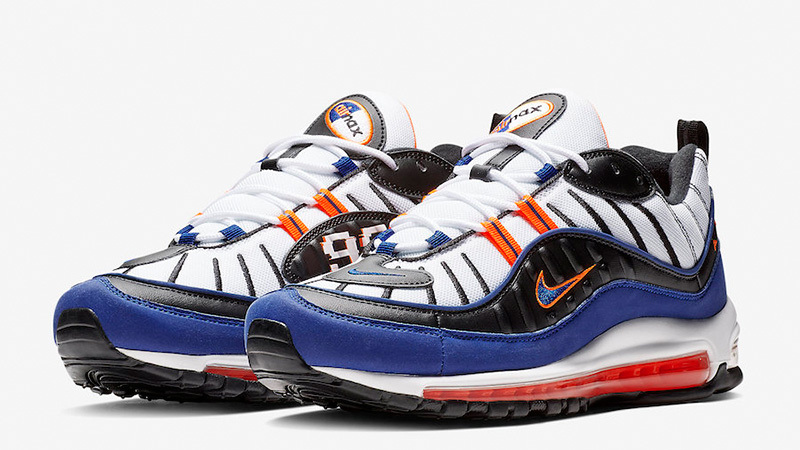 If you’re loving the Nike Air Max 98 White Blue as much as we are, you can get your hands on a pair now via the stockists listed. For more news and updates on the Air Max 98, be sure to stay tuned to our social media pages.